Former captain Joss Labadie looks set to return for Newport County in their Checkatrade Trophy last 32 tie in Gloucestershire on Tuesday. Manager Michael Flynn will rest a number of players from the match in Cheltenham with some crucial league and cup fixtures coming up. Four of Newport’s next six matches are at Rodney Parade in League Two and the Emirates FA Cup, where County face Wrexham in a second round replay. Their run of matches are (League unless stated): Swindon (away), Wrexham (home, FA Cup), MK Dons (home), Lincoln (away), Forest Green (home), Crawley (home). Flynn is considering giving Labadie a run-out against Cheltenham, but if he is involved it’s unlikely he will be out there for long after recovering from a knee ligament injury. Flynn will also turn to some of Newport’s Academy players. 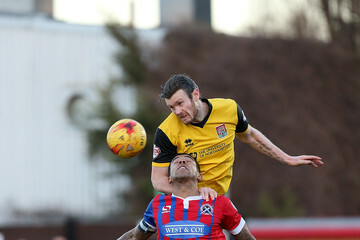 Matty Dolan, Robbie Willmott, Tyler Forbes, Scot Bennett, and Keanu Marsh-Brown were all ruled out at Wrexham and none of those players will be involved against Cheltenham. Wednesday, December 5: Rochdale v Oldham Athletic, Shrewsbury Town v Walsall, Luton Town v Southend United, Swansea City under-21 v Bristol Rovers. Tuesday, December 18: Oxford United v Spurs under-21.